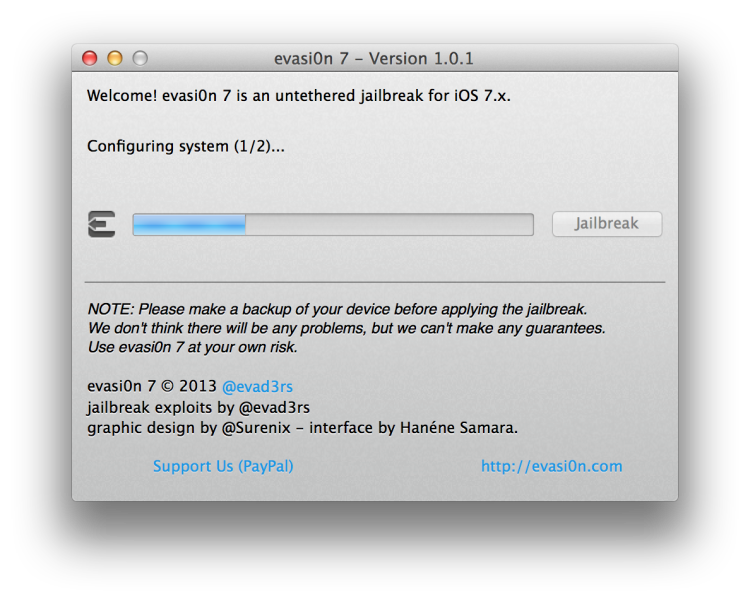 Finally, the jailbreak for iOS 7 has been released. There has been a little bit of drama with this jailbreak, more than usual. Basically, the people who wrote the jailbreak were paid to add an alternative App Store to iPhones in China. Like Cydia but for Chinese users. Users in China began to notice that the Chinese alternative app store, called TaiG, had pirated apps on it. That means that they were taking paid apps from the Apple App Store and copying them and making them free in the Taig app store. The jailbreak community wasn’t too happy about this. 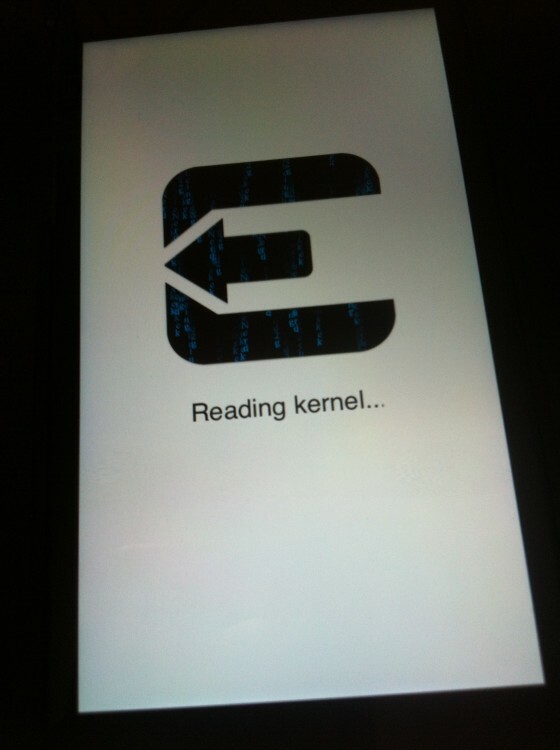 We even recommended users to not perform the jailbreak until the issue was resolved. Thankfully the alternative app store has now been removed from the jailbreak. We are now going to jailbreak our devices and we will share a step-by-step guide on how we did it. First we will be using an Mac to jailbreak an iPhone 5 on firmware 7.0.4. This jailbreak works iPhone 5S, iPhone 5c, iPhone 5, iPhone 4s & iPhone 4 on firmware 7.0-7.0.4 and is compatible with all iPhone, iPod touch, iPad and iPad mini models running iOS 7.0 through 7.0.4. 1. Backup your iPhone using iCloud backup or iTunes. 3. 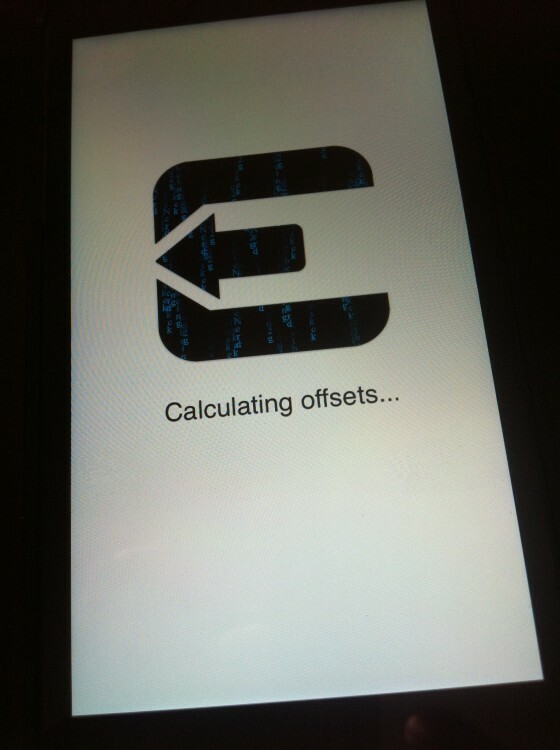 If you would like to start off with a fresh iPhone you can download your devices firmware from Apple and restore it. Here are the direct links: http://www.appleiphoneschool.com/more/firmware/ I ran the jailbreak on my iPhone just as it was with all my apps and settings and it worked fine. 4. Make sure your iPhone is connected and open the ecasi0n7 program. 8. Once these screens finish you will need to unlock your iPhone and click on the evasi0n 7 icon. 9. Wait while your iPhone installs more of the jailbreak including Cydia. Cydia is now installed. See the bottom right icon. 10. 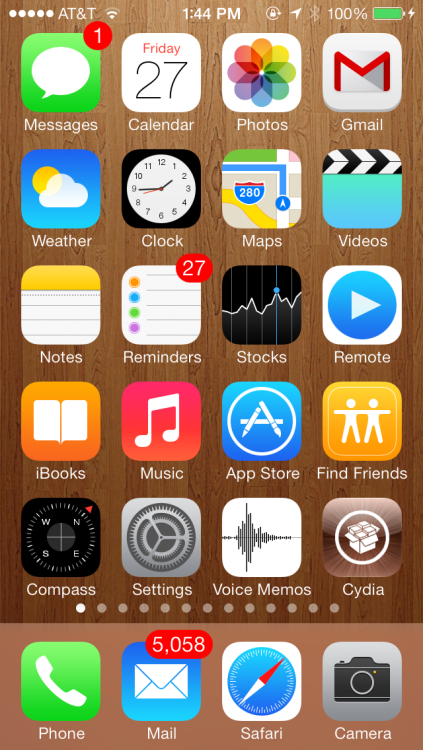 Cydia will now be installed and you’re iPhone is jailbroken. The first time you open Cydia you will need to chose user. You will also need to do any updated within Cydia right away. Check our Cydia section of our website to see what hacks and mods you’ll want to install and congratulations on jailbreaking your iPhone! How long will it stay on Apple logo once jailbreak is loaded. I’m going on 5 minutes here. Mine is staying on the apple logo too . . . I just talked to the man himself (Douglas, I have connections :) and he said it could take 10 minutes or more. So I’ll be patient and wait . . .
. . . up to 10 minutes and still waiting . . .
i’ve been waiting an hour and a half. i got the point where i clicked on the evasion 7 then it just displayed the apple logo. it’s still just displaying it. btw that was 7 hours ago. I had to restore mine from backup, but I found out that it was because I updated my iPhone wirelessly. There is a note on the evasi0n site that there can be problems with devices that have been updated wirelessly. They recommend backing it up with iTunes and then wiping it and restoring it from iTunes. Here is where I got the information to reset my phone. Sorry, I don’t think I was clear. If the phone has had updates wirelessly – Before jailbreaking the phone needs to be backed up with iTunes, then restored from iTunes. This will wipe the phone, install the latest update (beware!) and restore it to the backup. After this the jailbreak worked correctly. Poll: What Will Apple Release Today?